Massive IDF manhunt underway in Hevron area after students suspected kidnapped by terrorists; Chief rabbinate calls for public prayer. Three students, two of them from the Makor Chaim Yeshiva in the religious kibbutz Kfar Etzion went missing Thursday night in what officials say was likely a kidnapping by terrorists. All communication was lost with them as they were on their way home from the yeshiva, located in Gush Etzion, roughly between Jerusalem and Hevron in Judea; security sources suspect they were taken into a vehicle driven by terrorists that stopped for them as they waited at a popular hitchhiking spot. The story has been under a media embargo until now, given the sensitive nature of the incident and the danger posed to the three. Several false reports concerning the event were circulated in its initial aftermath, but these are the initial details of the incident that have been permitted for publication as of now. An IDF Spokesperson Unit statement noted that the IDF Chief of Staff has put all active units on full readiness to take action based on intelligence information. Prime Minister Binyamin Netanyahu has called an emergency meeting with security officials at the IDF's Tel Aviv headquarters; earlier the PM met in Jerusalem with the Defense Minister and Internal Security Minister over the crisis. Netanyahu's office held the Palestinian Authority leadership responsible for the boys' disappearance. "Israel holds the Palestinian Authority responsible for the well being of the 3 missing Israeli teens," the PM's spokesman Ofir Gendelman wrote on Twitter. Friends of the missing students called on the public to pray for the safe rescue of the three youths. In the last few minutes the Chief Rabbis of Israel issued a joint statement calling on members of the public to recite psalm 121 and pray for the safety of the boys. The rabbinate also called on all Jewish women make sure to light Shabbat candles and say prayers in merit of the missing youths. 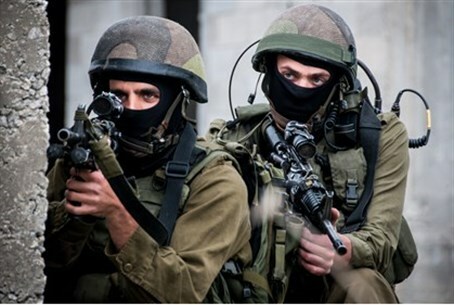 The Arab Ma'an News Agency cited local Arab sources on Friday, saying IDF forces were searching the town of Dura to the southwest of Hevron. Palestinian media released footage of a burned-out car and IDF forces conducting searches, apparently in the aftermath of the kidnap and search. Meanwhile, in the last few minutes Hamas spokesman Hassan Badran broke the Islamist terrorist group's silence on the episode, and openly called on Arabs in Judea and Samaria to obstruct the Israeli effort to find the boys, who he referred to as "Israeli soldiers", despite the fact that they were unarmed teenage students.